American Indian Magnet School students take pride in keeping their school grounds and neighborhood clean, and keeping all the trash from flowing into the streets and the Mississippi River. Thanks to all of our young river stewards for setting such great examples! This year, youth from throughout the metro river corridor helped us educate Twin Citians about the connection between our homes and streets to the river, restore important natural areas, and research what works best for local ecological restoration projects. Despite all the thunderstorms, 2016 was a fantastic year for FMR youth programs and accomplishments. Coming from throughout the metro, 39 youth groups helped to educate St. Paul and Minneapolis residents and businesses on how the storm drains at the end of their block drain directly into the Mississippi River or nearby lakes and creeks. They spray-painted educational messages, "Keep 'em Clean, Drains to River," next to more than 1,700 storm drains and handed out nearly 5,500 related educational flyers to help people reduce the pollution flowing from their homes and yards (fertilizer, leaves, sidewalk salt, etc.) into the river. An additional 1,600 students also participated in water quality classroom lessons or helped clean up their local park or school grounds to keep trash from flowing into the river via storm drains. Students were quick to pick up the most important lessons and connections. Hayden, a 4th grader at American Indian Magnet School in St. Paul said she enjoyed learning that all the water goes to the ocean. Izabella, a 5th grader at American Indian, noted the connection between our lands and waters: "We need to put garbage in the trash and put recycling in the bins in order to keep the land and water clean." 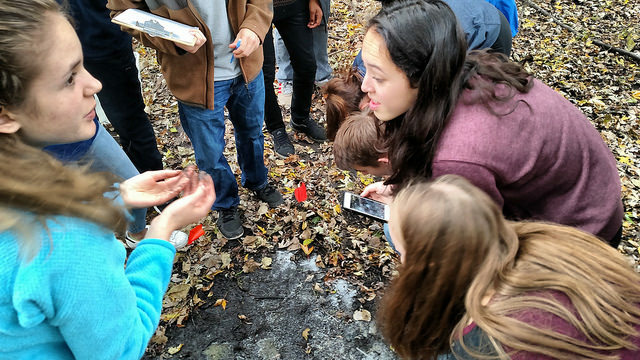 And students at Metro College Prep in Minneapolis embraced a lesson that many adults have a hard time remembering: Fallen leaves that make it into our waterways are a significant source of river and creek pollution. In addition to working with groups from across the metro to stencil storm drains and educate our communities about water quality, FMR also works with several schools to restore local habitat. In 2016, we worked with 476 youth, planting native species, removing invasives and otherwise tending important natural areas in the river corridor. For many years, we've partnered with Joe Beattie and his Hastings High School biology class. In 2016, this included one of our largest joint ventures yet: planting over 200 native plants and trees in Vermillion Linear Park. As the students installed the young plants, they also helped clear the planting area of invasive species. Many students were struck by the importance of this task. "As we were planting, we saw the effect of the invasive species. The invasive plants, including European Buckthorn, honeysuckle and burdock, were taking over and outcompeting the native plants," said Hastings High habitat restorer Ashley Groskopf. "It was very heartwarming to know that what we were doing was for our city and it will help better our water quality and the stream banks in the years to come." In the south Minneapolis river gorge, several groups of young river restorers set their sites on invasive species as well. Students from Andersen United Community School's 5th grade pulled more than 20 garbage bags' worth of garlic mustard, with students from the University of Minnesota and community summer camps helping to hand-pull the invasive to keep it from crowding out the native plants that native birds and pollinators need to survive. Some students were literally able to work in their own back yard. Battle Creek Middle Schoolers in St. Paul spent two days making a big dent in the invasive buckthorn thicket between their school and Battle Creek, which in turn connects to the nearby Mississippi River. FMR staff ecologists rarely have the time or resources needed to fully monitor our restoration sites for specific ecological changes. Luckily, several groups of high-schoolers have been willing to help fill that gap. 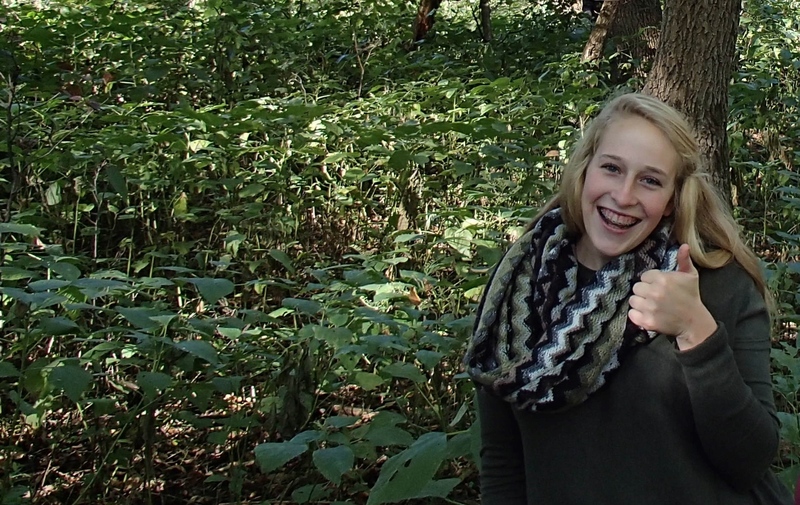 Students in Elk River, St. Paul and Hastings now help FMR monitor changes in the populations of specific plants, insects and invasive species at restoration sites near their schools. In addition to providing our ecologists with important long-term data to help us understand what works best, the students also keep an eye on the invasive species in the area. The Harding High Earth Club of East St. Paul has been working with Friends of the Mississippi River for many years at the Department of Natural Resources-owned Willowbrook site and natural area along the river. In 2016, they began surveying plants in areas where they had removed invasive garlic mustard at different times and then broadcast different types of native seed. This will help us determine the best times for garlic mustard removal and which native plants will grow best at these sites. Open World Learning School of St. Paul has adopted the prairie at the top of iconic Indian Mounds Regional Park. After the 9th grade surveyed the plants and insects in the southern stretch, they found it was mostly forbs (flowers) and in need of more grasses. The 8th grade then collected a variety of prairie grass seeds from elsewhere in the park. Those seeds are now growing in the school's greenhouse, to be planted in years to come. This fall, the environmental science class from St. Paul Academy enjoyed getting their hands dirty at Crosby Farm Regional Park along the river in St. Paul. After splitting into water, soil and biodiversity groups, they took samples from Crosby Lake, the Mississippi, and floodplain forest to test in the lab. They also documented what species lived in the area around where they collected their soil, paying special attention to invasives. The biodiversity group worked to collect data on worm populations. To draw them out, they poured water mixed with mustard powder over an area (see photo above). "The mustard irritated the worms’ skin and made them surface and thus, able to be counted (and counting meant picking up, so that was messy)," explained student Clare Tipler. "This trip was completely different, it allowed us to apply the science we had been learning to a real-life situation, and provide valuable information." Thanks again to all of our young river stewards and youth group leaders! You educated thousands of people about the connection between our homes and streets to the river, helped restore important natural areas, and even provided much-needed scientific research. 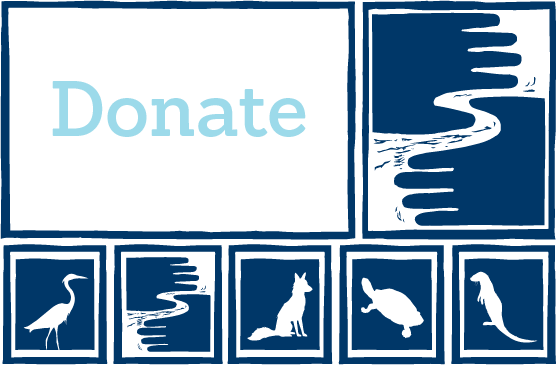 We would never be able to accomplish so much for the river without your help. We hope everyone enjoyed our outings (they are pretty fun) and we look forward to being in touch in 2017. If you're an educator or youth group leader looking to connect students with the outdoors and empowering them to make a difference at the same time, let us know if you'd like to join us! Contact FMR Youth Coordinator Kate Clayton at kclayton@fmr.org or 651-222-2193 x23 to discuss options for your class or group. Scheduling for spring, summer and fall 2017 programs starts in January.